Welcome to Harmonic Solutions Oil and Gas, a company specialising in the provision of power quality (PQ) consulting, PQ site services, PQ monitoring and mitigation solutions for harmonics, power quality and aspects of EMC based problems including common mode voltage. Harmonic Solutions Oil and Gas is a Division of Sentinel Power Quality FZE, based in the United Arab Emirates. Via satellite offices in strategic parts of the world it is ideally located for worldwide mobilisation to sites, offshore and onshore. The engineering staff at Harmonic Solutions Oil & Gas have over 30 years of direct global experience in all fields of power quality across a wide spectrum onshore and offshore installations. Unacceptable power quality on land-rigs, offshore drilling rigs, drill-ships, offshore platforms and other installations can have serious, detrimental effects as to safety, operational integrity, productivity and profitability. Most offshore installations, land-rigs and Mobile Offshore Drilling Units (MODU (have recommended limits for harmonic voltage distortion (Uthd) set by standard authorities (e.g. 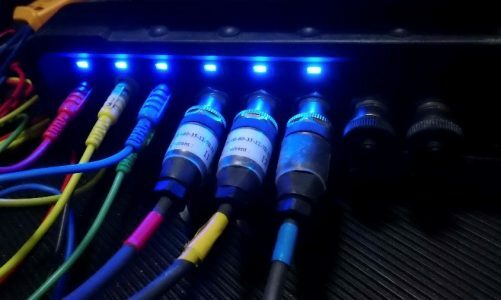 IEC or IEEE) or marine classification bodies such as ABS, DVNGL and LR during the design process and classification, usually based on a maximum recommended limit of 8% Uthd, depending on the type/class of installation. However, these limits are often exceeded by up to 3-4 times the recommended class limit. The additional problems of line notching, voltage spikes due to older DC SCR drives and common mode voltage, an EMI problem (at harmonic frequencies) due to variable frequency drives (VFDs), results in the offshore installation or drilling rig being one of the most challenging and arduous electrical environments in the world. The primary objective of this website is to provide advice and information on some of the most common offshore and oilfield power quality problems and to direct clients and customers to the range of services and solutions from Harmonic Solutions Oil & Gas to resolve these problems. Correct diagnosis of harmonics, power quality and EMC issues are of fundamental importance in the provision of equitable and cost-effective solutions. Education is the key to understanding harmonics and related issues. This website permits the downloading of technical information in the subject areas pertaining to harmonics and associated power quality issues including EMC, whether through dedicated site information, the provision of editorials and interesting technical papers and publications. To go direct to services offered by Harmonic Solutions Oil & Gas to offshore and onshore oilfield sectors click here. For details of our PQGuard continuous PQ monitoring systems click here.